Relaxx Toilet Stool – The Only Adjustable, Storable and Portable Bathroom Footstool – Built for your comfort. Everyone is born with a muscle that controls a kink in our colon - the puborectalis. This muscle acts as a 'valve', restricting elimination and preventing incontinence. Luckily the valve closes when we sit on a chair. Unluckily it is still closed when sitting on the toilet - causing blockage and other diseases*. Relaxx footstools help you get into the perfect squatting position easier than ever! My physical therapist pointed me to purchasing a toilet stool but I had my doubts. Now, I don't go without them. These footstools have made my toilet visits effortless and so much shorter. Make every bathroom feel like home. Relaxx fits in your bag so there is no need to hold it up while being somewhere else. 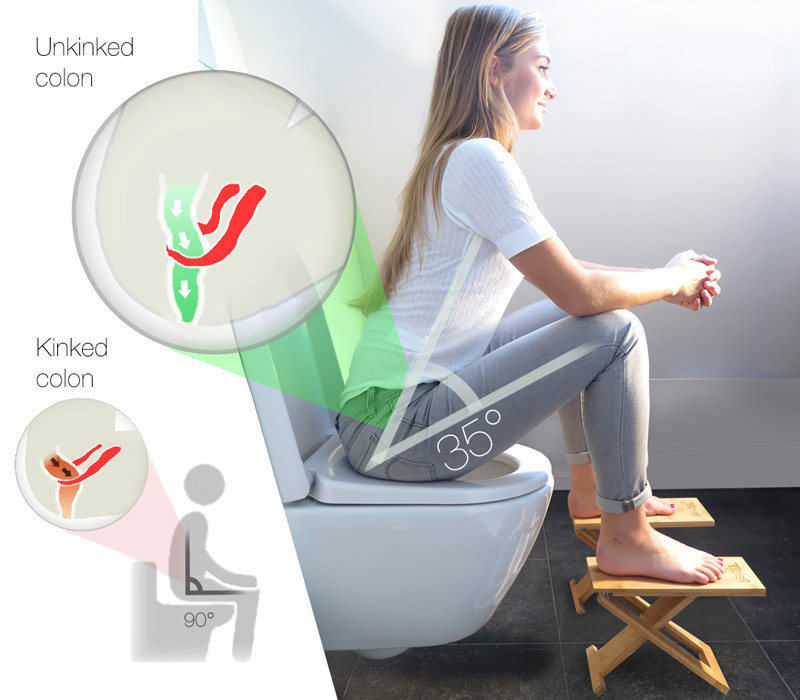 Adjustable to fit your toilet and your body. 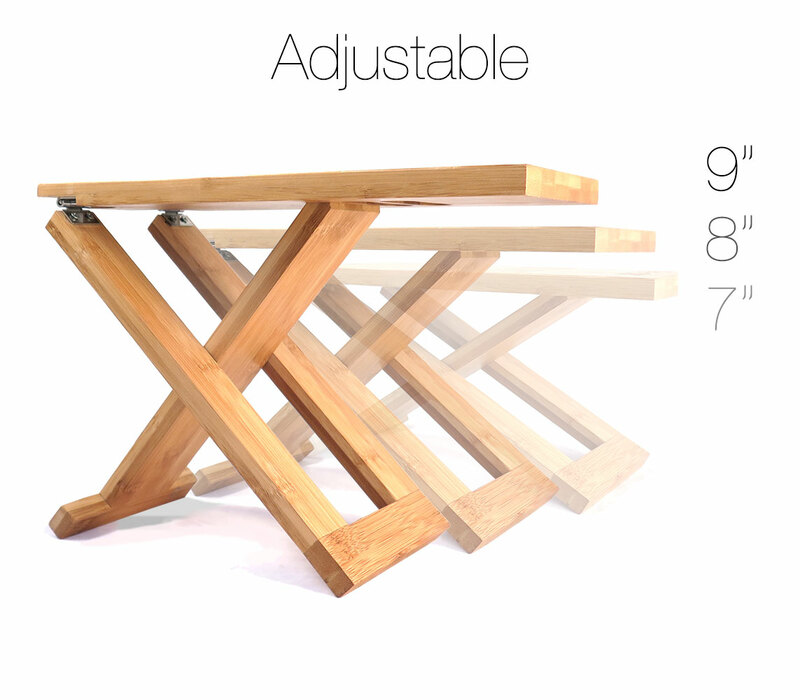 Relaxx can be set to three different heights: 7", 8" and 9". With less than two inches thick when folded, Relaxx neatly stows away in every drawer, behind your toilet or on top of it. Relaxx is beautiful in appearance and clever in its set-up. Our goal is to make your toilet visits effortless. One package. Two footstools. Three positions.